Source: Marco Specialty Steel, Inc.
Marco Specialty Steel, Inc. is a leading supplier of Wire Cloth and related products. Our centrally located warehouse maintains a wide range of wire cloth products in a variety of material grades, styles, and meshes. 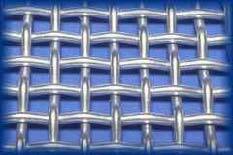 We import wire cloth from the finest mills in the world, and our weaving facilities can custom weave most any mesh, in any alloy you may require. Marco Specialty Steel, Inc., 5949 Nunn Streeet, Houston, TX 77087. Tel: 713-649-5310; Fax: 713-649-5305.